Dimensions 1 by 5.50 by 4.75 in. Mark Watson is not only a fantastic stand-up comedian, he may also be the best chance we have to overcome sin. HeÃ¢ÂÂs got a plan to teach us everything we need to know about the Six Deadly Sins (he knows itÃ¢ÂÂs usually seven, but heÃ¢ÂÂs doing Greed and Gluttony together as a special offer). In the space of six episodes the world should become a substantially better place, making this above all a public-spirited gesture. 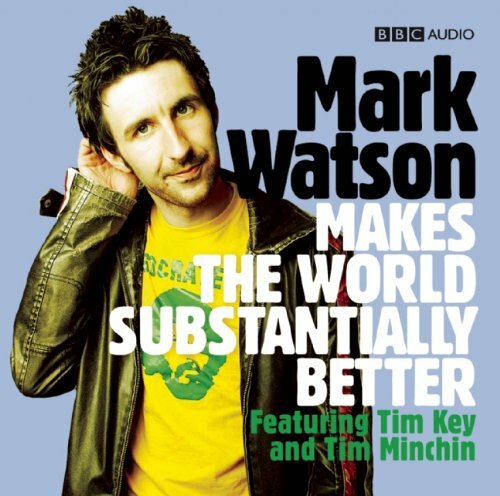 Mark Watson Makes the World Substantially Better is a mixture of stand-up, sketches and songs, with life-changing advice too ÃÂ and even if this turns out to be bad advice, itÃ¢ÂÂll still have good jokes in it.